Moon has a lot of craters which are caused when something hits on its surface causing a dent. These craters are mainly formed because the meteors and asteroids collide with the moon. They usually strike with different speeds but the average speed is 20 kilometers per second or 12 miles per second. There are also craters on the surface of the earth but they are less as compared to the moon. This is because the earth burns all those things as soon as they enter its atmosphere. On the other hand, there is no atmosphere in moon so small rocks strikes its surface causing more craters than earth. Earth has winds, rains and erosions while moon does not have these. This is the reason it stays longer on the moon. They cannot change until moon is struck by another object. 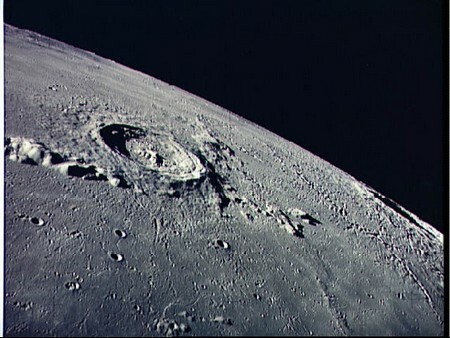 Craters on the moon are called impact craters. Craters are of different sizes, some are small and some are huge more than hundred kilometers long. Lava is filled in the biggest craters and their outlines are only visible. Moon has many types of craters depending on the mass, speed, falling angle and object size. When small objects hit the moon with slow speed than small simple craters are formed and when big objects strike with enormous speed than huge craters are formed and the ejected material falls again on the surface making new craters.